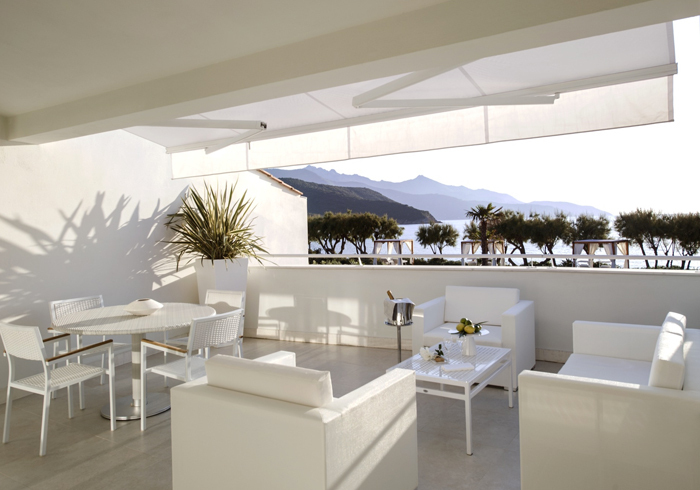 Elba island suites, Baia Bianca can offer you a 5 star vacation: if you are looking for a hotel in Tuscany, book your tailor-made stay in this romantic and intimate resort. Near to Portoferraio, our complex is more than a 5 star hotel, it is an authentic refuge from the world. 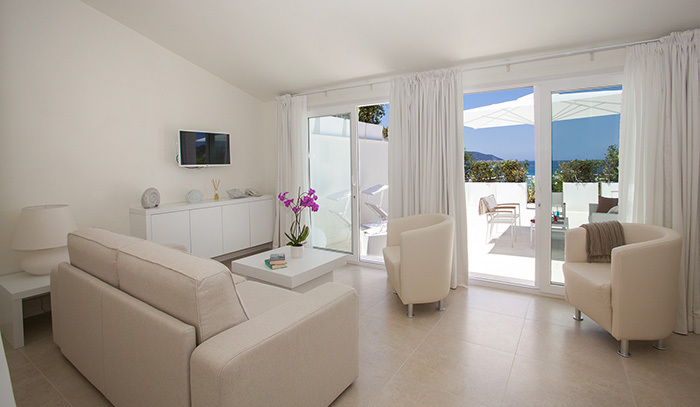 Cozy interiors and tailored services characterize these suites overlooking the most prestigious seashore of Elba. The Biodola beach is an ideal destination for sensual experiences and holidays, as well as for short escapes to relax and to have a private getaway from the busy city. If you are looking for a luxury suite close to the sea with a panoramic terrace, private mini-pool or hydromassage bathtub, just reserve one of the rooms or suites. Elba is the largest island of the Tuscan archipelago, a unique area (a National Park) where Mediterranean maquis uncovers, like a curtain, crystal clear waters, divine scents brought by the sea breeze – a feast of aromas and colors. You will love its beaches and villages with their traditions, such as Porto Azzurro, Marciana, Marina di Campo and Capoliveri. 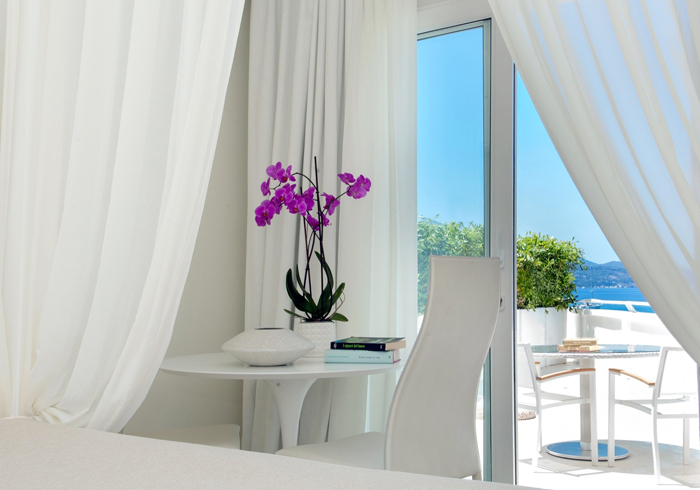 Our suites are situated just a few meters from the beach: stylish, elegant and functional. Choose from five different types of accommodations designed for a relaxing experience beyond common standards. Modern details enrich the atmosphere of the ancient noble residences of Elba, available amenities and options model a customized environment for groups of friends, families or couples, perfect also for a honeymoon. You can have an accommodation with luxurious bedrooms (comfortably fits 2 to 6 people) with a television and refrigerator; up to 3 bathrooms with a shower; terrace, garden, lounge area and even a mini 12-sq m pool.